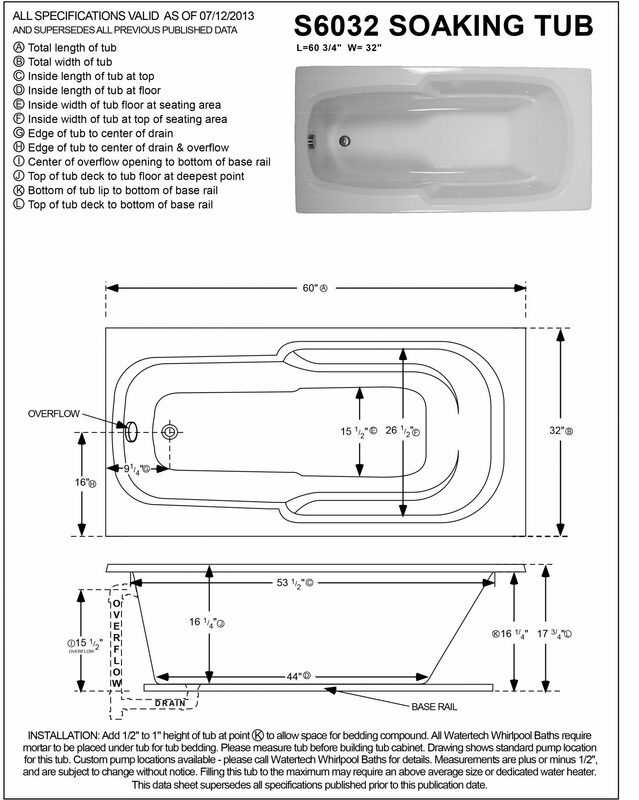 WaterTech offers a large variety of soaking bathtubs each 100% made in America tub with the finest quality materials and craftsmanship. 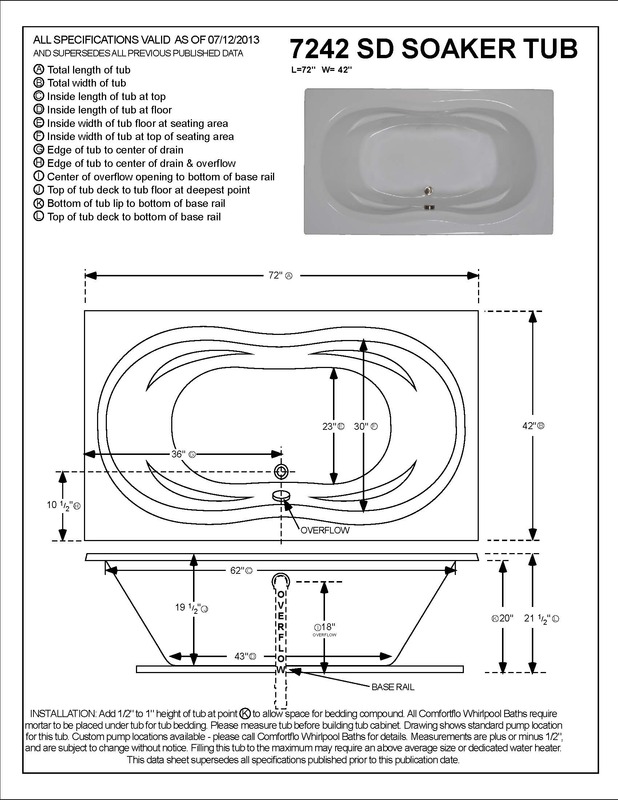 A new 72’’ long & 38’’ wide soaking bath that accommodates two people. 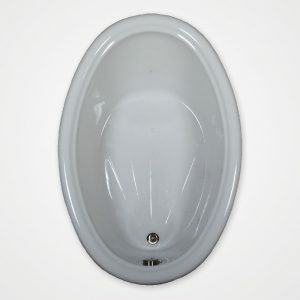 The rectangular design has two sloping ends for maximum comfort. A large bathing area allows for stretching out the legs. The bath has a side drain and overflow. Get extra water depth by ordering with Watertechs optional deep soak drain assembly. The tubs top deck is wide enough to install most tub fillers. Another popular option is the new soaking tub heater that eliminates the need to add additional hot water to keep the desired temperature. The heater plugs into a standard 110-volt GFCI receptacle. Mounting the faucet on the tub eliminates having to purchase an expensive floor mounted faucet system! This bath has a Lifetime Warranty. 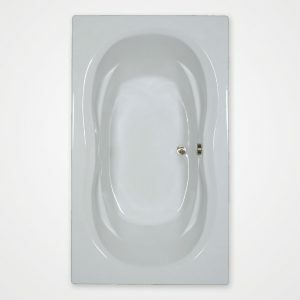 The S7535 "drop in" acrylic soaking tub is an elliptical shaped bath with contoured ends that slope gently inwards. 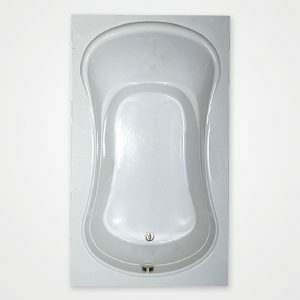 The bath has a center drain for your comfort. 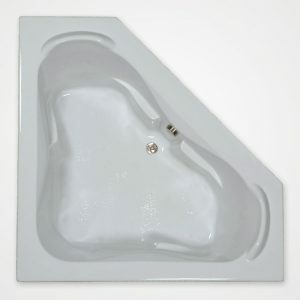 This luxurious bath can be filled to the top deck of the tub which allows the bather the option of an extra deep soak. Note: Prices do not include freight. Please call for pricing. 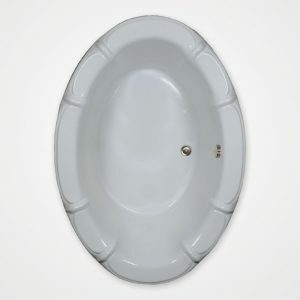 The S5638 oval soaking bath is simply stated and perfect for a replacement tub or a drop in tub. Popular items to order with this tub is a bath pillow and soaking bathtub heater. Note: Prices do not include freight. Please call for pricing. Simple design and elegantly shaped for one bather. Note: Pricing does not include freight, please call for pricing. 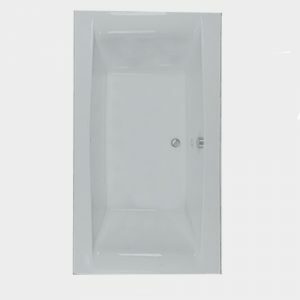 Standard width and length bath that can be used in restricted space and replaces most one piece fiberglass tub/shower units. The S6032OV is a simple and elegant rectangular tub with sweeping interior bathing well. Popular options ordered with this tub are the soaking heater and the deep soak drain. Note: Prices do not include freight. Please call for pricing. A rectangular design with a deck large enough to accommodate most faucets. Four inches wider than the standard bathtub. The S6036 is easy to install and with a shower system over the tub. Most popular options when ordering this tub are the soaking tub heater, surface heating system and deep soak drain. Note: Prices do not include freight. Please call for pricing. A simple oval with a classic design. Installed as a "drop in" bath tub. 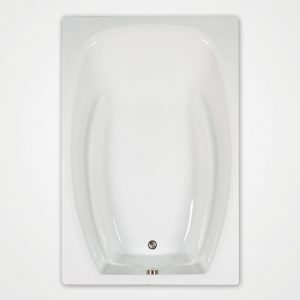 Its modest size allows for use in most bathroom settings. 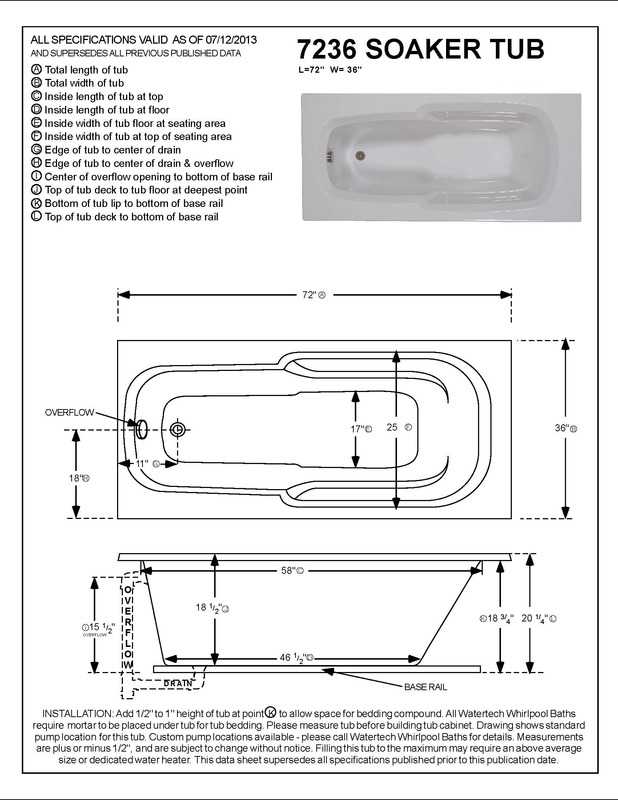 Popular items ordered are the soaking tub heater and the deep soak drain. Note: Prices do not include freight; Please call for pricing. 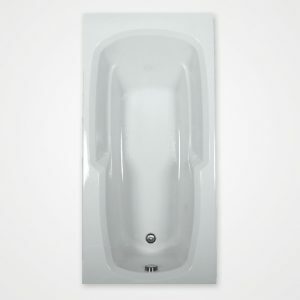 Wide and roomy with two arm rests makes this S6048 soaking bathtub a comfortable bath for two people. 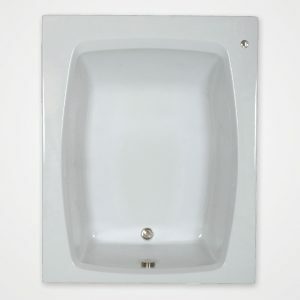 The drain is located at the middle side location, so either bather does not have to sit on the drain. Lots of top deck area to display your bathroom décor or personal bathing items. Popular options ordered with this tub are the soaking heater and the surface heating system. Note: Prices do not include freight. Please call for pricing. A beautiful corner bath with arm rests and raised headrests, three seating options make this a popular bath. Plenty of interior room for two people. Popular options including the soaking tub heater and back surface heating system. Note: Prices do not include freight. Please call for pricing. 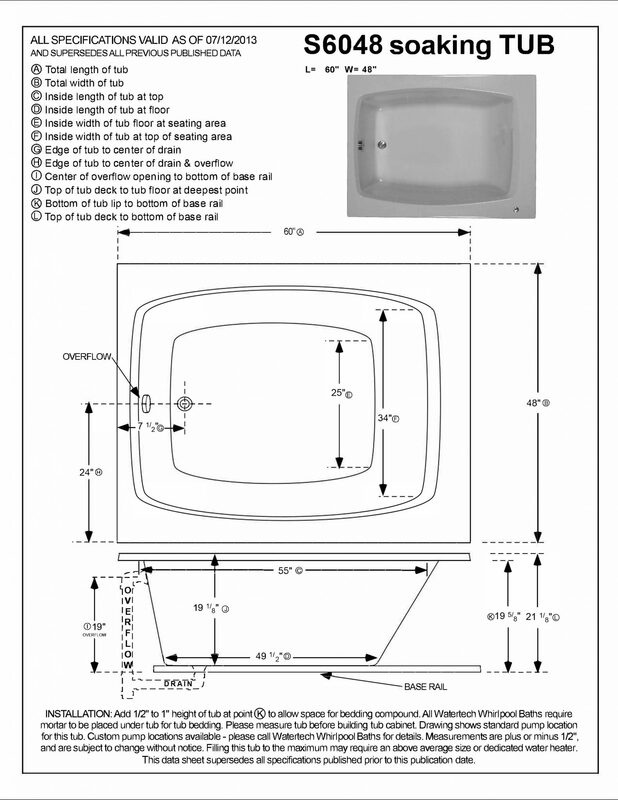 This tub's length is five feet and six inches which dramatically increases leg room over a standard 60" bathtub. A perfect fit for restricted space. Popular item to purchase with this tub is the soaking bathtub heater. 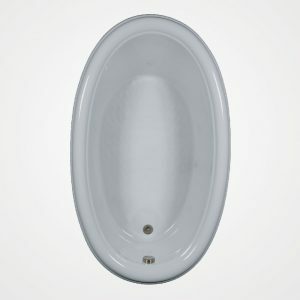 A curved rectangular design with sculptured raised perimeter. Sloping back area allows for a comfortable soak for a single bather. Popular items to order with this tub are the bath pillow and soaking bathtub heater. Note: Prices do not include freight. Please call for pricing. 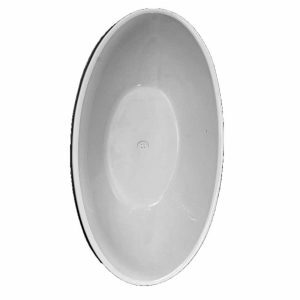 Beautifully scalloped oval shape with raised deck design. This tub is 68" in length. 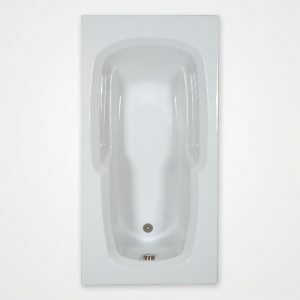 Tub has a side drain location allowing for optimal comfort for the bather. Popular option is a soaking tub heater. Ample leg room in a sculptured oval design. Sloping back area provides a comfortable soaking tub. 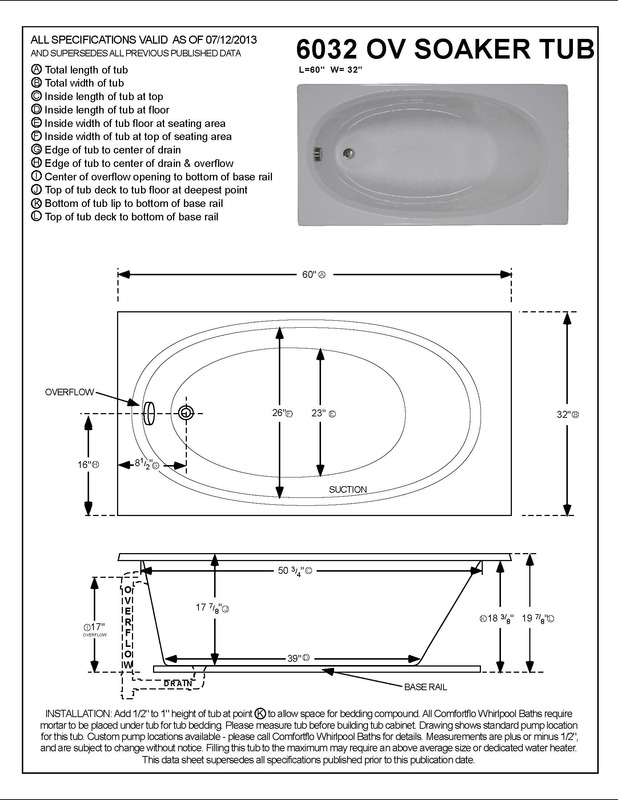 This oval bath's overall length is two inches less than a standard six foot tub. Note: Prices do not include freight. Please call for pricing. A traditional styled bath with ample deck area to mount a faucet on. 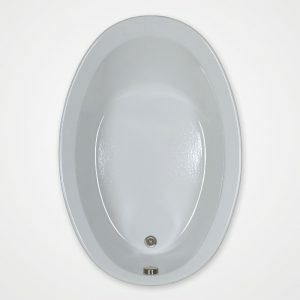 A classic oval bathing area that fits into most bathrooms. A shower can be constructed over the bathtub if a shower and tub combination is desired. 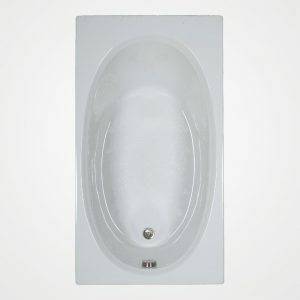 Popular items to purchase with this tub are the bathtub pillow and the soaking bathtub heater. Note: Prices do not include freight. Please call for pricing. Elegant rectangular tub with an hourglass bathing area. Perfect soaking tub for a single bather. 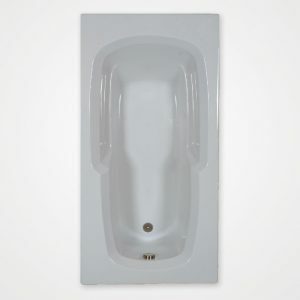 Popular items to order with this tub are the bath pillow and soaking bathtub heater. Note: Prices do not include freight. Please call for pricing. Simple and beautifully designed hourglass shape for one bather. Note: Prices do not include freight. Please call for pricing. 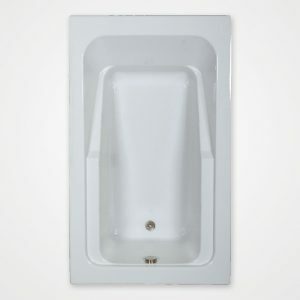 The perfect tub for a larger bather, the S7248 soaking bathtub features comfortable arm rests and a wide deck area for the faucet and accessories. Note: Prices do not include freight. Please call for pricing.